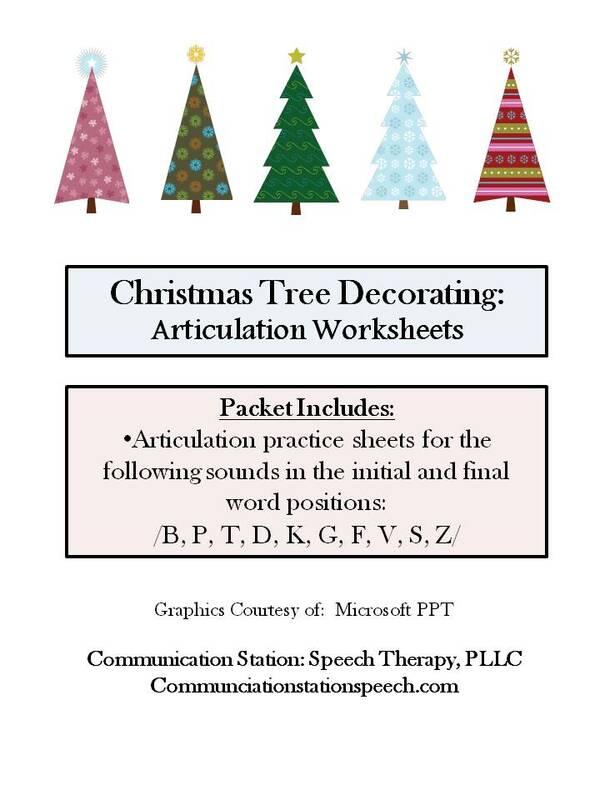 Today’s FREEBIE Friday is a fun simple packet of articulation worksheets you can use for some quick articulation therapy. As the weeks and days get closer to Christmas break, I know how excitable AND distracted our students can be. 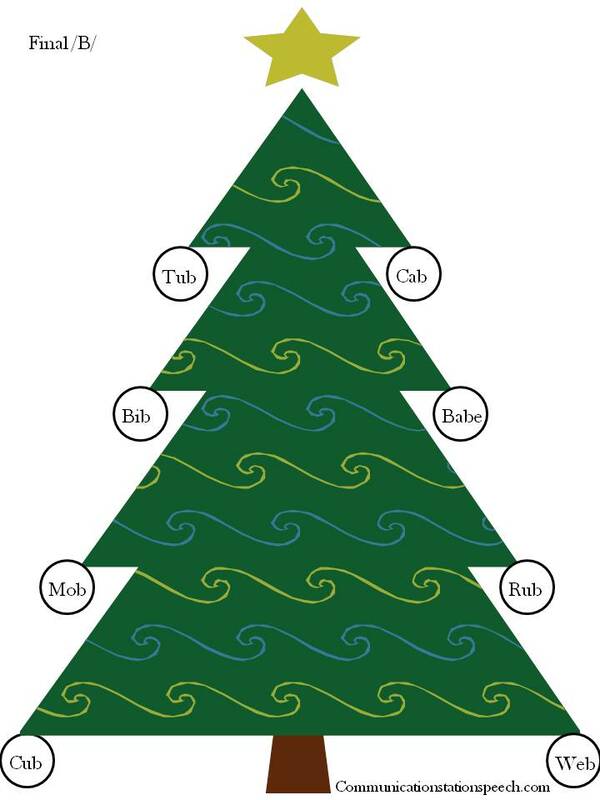 This is a simple fun way to “decorate” to enjoy the Christmas fun while targeting articulation goals. This packet contains 20 pages of articulation fun! One page designated for initial and final word positions for /B, P, T, D, K, G, F, V, S, Z/. Working on any of these sounds? Then download this FREEBIE today!!! These are just a few ideas of how to use this simple activity. I’m sure you can come up with many more creative ways to modify this activity to motivate your students. Merry Christmas and happy Talking! ← Tip Tuesday! Articulation Tip: Using Hand Cues!